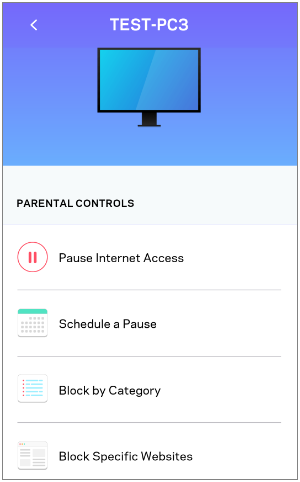 Pausing internet access is easy using the Parental Controls feature on the Linksys app. 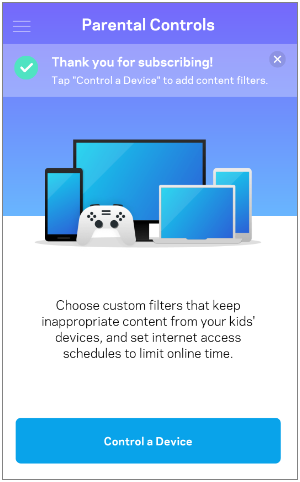 Go to the Parental Controls section of your Linksys app. 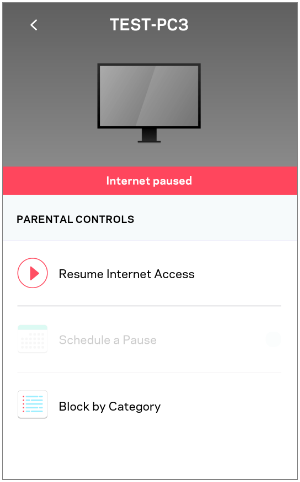 If you haven’t set up Parental Controls on any devices, tap Control a Device. 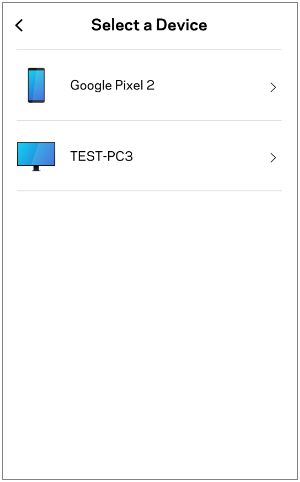 If you already have Parental Controls on one or more devices, select one of them from the list or tap Add a device to select a new device. 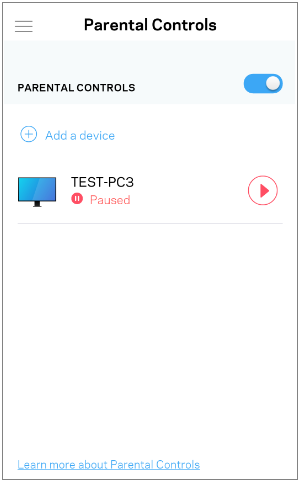 Tap the pause button before Pause Internet Access to pause the internet connection for a specific device. After performing the steps above, you will notice that the device now has a red bar displaying the Internet paused message. To resume access, tap the play button. 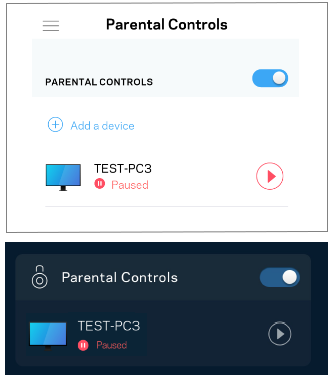 Below is how the paused device will appear in the Parental Controls list and dashboard. Simply tap the play button anytime to resume internet access.